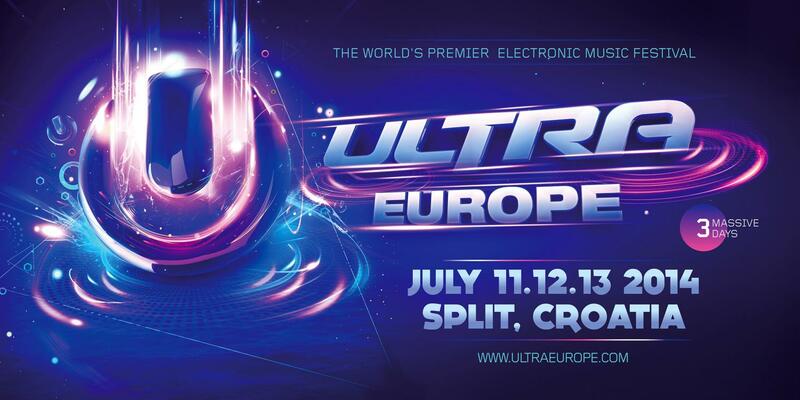 Entering a new market by invading Croatia for the first time last year, the inaugural European edition of Ultra Music Festival proved to be a huge success. With over 103.000 dance-mad festival attendees gathering for the three-day event from the Poljud Stadium in Split to the Grand Amfora Beach Resort on the beautiful island Hvar in 2013, Ultra Europe have placed high demands on themself by promising an even bigger party this year. Coming back from 11th to 13th July, the organizers have just unveiled the first phase of the line up. Naming the five headliners, the list includes Armin Van Buuren, Carl Cox, David Guetta, Hardwell and Tiesto.